You can see the full 30 minute interview here. 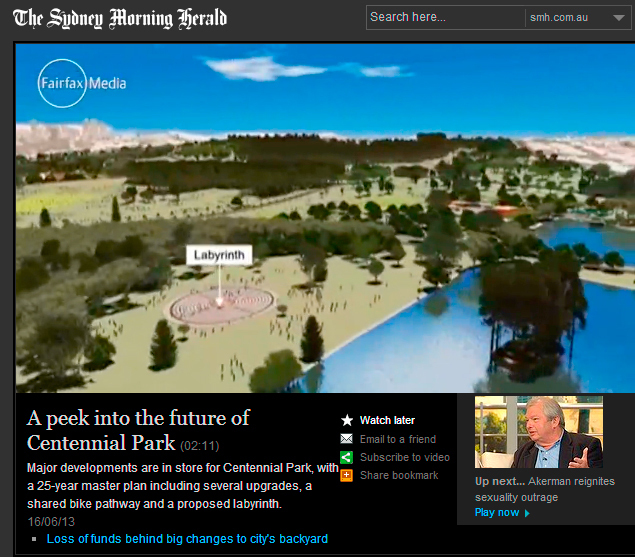 The Centennial Parklands Foundation held a ‘Sod-Turning’ ceremony on Wednesday 5th February to mark the start of construction of the sandstone labyrinth. Emily Simpson spoke of the journey so far. Things are going well with preparations for the construction of Australia’s first sandstone labyrinth and it looks like it will be completed early next year. This is a surprisingly complex thing to build – with over 1500 individual pieces of stone, every detail needs to be perfectly aligned for it to work. 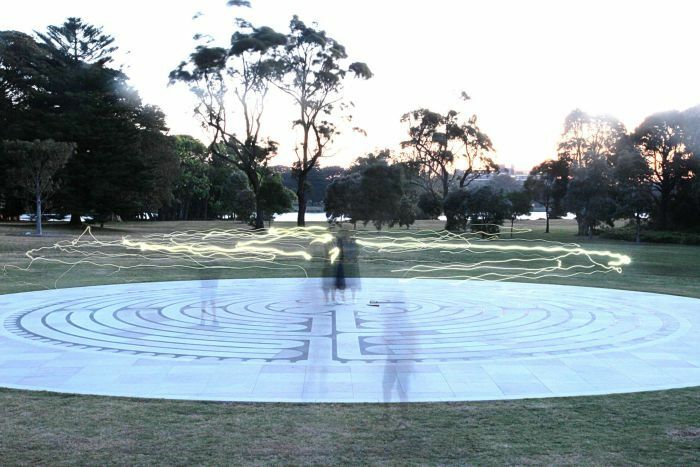 The good people at Centennial Parklands are ensuring that it will be on a par with the other significant stone labyrinths in the world – the one at the Chartres Cathedral in France and the one at the Grace Cathedral in San Francisco. In the meantime, before construction actually begins, there will still be a labyrinth painted onto the field for you to walk. 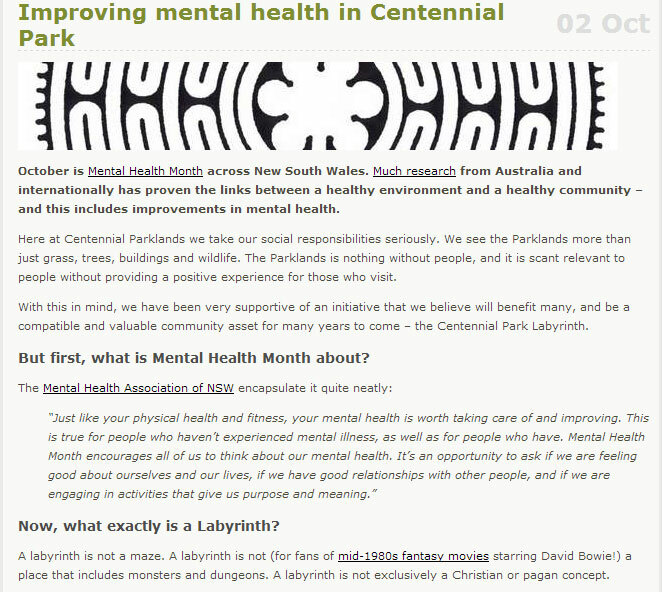 Centennial Park Trust’s blog features our labyrinth and points out an important community benefit.